The richest flora and fauna in the world. FELIZ NAVIDAD Y PROSPERO AñO NUEVO 2012 MERRY CHRISTMAS & HAPPY NEW YEAR 2012 JOYEUX NOEL ET BONNE ANNEE 2012! Se ha establecido el 25 de Diciembre, pero como los evangelios no mencionan fechas, no es seguro que Jesús naciera ese día. De hecho, el día de Navidad no fue oficialmente reconocido hasta el año 345 AC, De esta manera seguía la política de la Iglesia primitiva de absorber en lugar de reprimir los ritos paganos existentes, que desde los primeros tiempos habían celebrado el solsticio de invierno y la llegada de la primavera. Por ejemplo la fiesta pagana más estrechamente asociada con la nueva Navidad era el “Saturnal Romano”, el 19 de Diciembre en honor de Saturno, dios de la agricultura, que se celebraba durante siete días de bulliciosas diversiones y banquetes. Antes de la llegada de los primeros cristianos al Norte de Europa, los habitantes de esas zonas celebraban el “Nacimiento de Frey” dios favorito de los Elfos, dios del Sol, dios de la tierra de las hadas y la fertilidad, adornando un árbol de hoja perenne en las fechas próximas a la navidad cristiana. un pino, símbolo del amor perenne y lo adornó con manzanas y velas, dándole un simbolismo cristiano, las manzanas representaban las tentaciones, el pecado original y los pecados de los hombres; las velas representaban al Salvador, la luz del mundo. El primer árbol de Navidad del que hay constancia se puso en la Catedral de Estrasburgo en 1539. En el siglo XVII comenzaron a ponerse arbolitos en las casas de familia. En aquel tiempo se decoraban con manzanas, nueces, bolas de papel, etc. Finalmente la costumbre del Arbolito de Navidad se difundió por toda Europa en la Edad Media y con las conquistas y migraciones, llegó al Perú y América. Si bien el patrón Navideño es el mismo a grandes rasgos en todos nuestros países con Hispano hablantes, desde el Cabo de Hornos hasta los Pirineos hay un millar de matices distintos en cada región o comunidad, fruto del paso de los años, las diferencias climáticas, alimentos de la zona y otras particularidades como sucede en el Perú, donde la cocina es muy, muy variada, tenemos diferentes insumos, pisos agrícolas y alturas en la Costa, los Andes y en nuestra Selva. 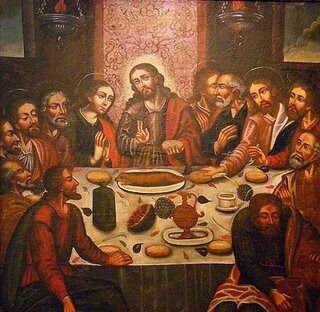 Pero si hablamos de una deliciosa cena y muy peruana sugerimos la combinación de: “Turrón de Doña Pepa”, “Tamales de Supe” con su “Aji de Cocona, chicharrones o Cuy Chactado” (como vemos presente en la ilustración colonial de la representación de la cena), o “Lomo Saltado”,” Tacacho con Cecina” etc. y de tomar: La famosa “Chicha de Jora”, “el Pisco Sour o Coca Sour” y quizás un “Cóctel de Uvachado”. De cualquier manera que lo celebren, el equipo de One to One International les desea una Feliz Navidad y Prospero Año Nuevo a TODOS! December 25 “Christmas Day”, however the Gospels don’t mention a specific date, it’s doubtful that Jesus was born that day. In fact, Christmas Day wasn’t officially recognized until the year 345 AC. Thus it was the policy of the “Early Church” to absorb rather than repressing existing pagan rites, which from earliest time people celebrated in this day “The winter solstice and the arrival of Spring”. For example, the pagan festival most closely associated with the New Christmas was the “Roman Saturnalia – Dec 19” in honor of Saturn, God of Agriculture for 7 days of bustling entertainment and banquets. At the same time in Northern Europe was celebrated the winter festival known as “Yule”, which burned huge logs and branches adorned with ribbons in honor of gods for making the sunshine more strong. 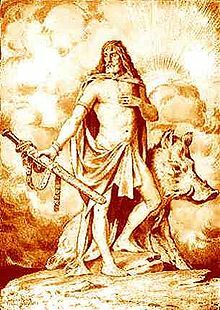 Before the arrival of the first Christians in Northern Europe, the inhabitants of those areas celebrated the “Birth of Frey”, God of the Elves, the sun, the land of fairies and fertility decorating a leafy-tree from perennial dates near the Christian Christmas. It represented the Old Germanic belief that a giant tree which held the world and its branches was supporting the stars, moon and sun, also a symbol of life for not losing the green foliage in winter, all nature. Likewise in some houses in Nordic countries during winter, they cut some branches and they were decorated with bread, fruit and sparkling to brighten the lives of inhabitants as winter progress. It’s said that the British Missionary, St. Boniface (VII-VIII century) realizing that it was impossible to root out this pagan tradition; he adopted the Christian meaning of making a decorated tree as a symbol of “Bethlehem birth”. So according to tradition he changed the “Yggdrasil tree instead of planting a pine tree symbol of eternal love and decorated with apples and candles, because apples represent the temptations, the original sin and the Savior candles represented the sins of men. 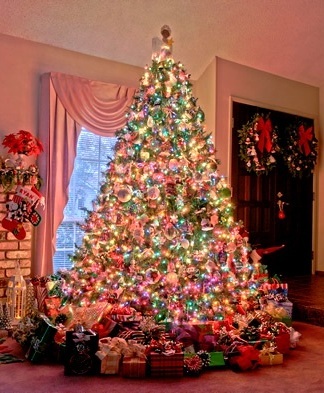 Therefore the first Christmas tree was recorded in the Cathedral of Strasbourg in 1539 (Seventeenth century) when it began to have trees at family homes decorated with apples, nuts, balls of paper, etc. Finally this custom spread throughout Europe and the Middle East and conquers and migrates arrived in Peru and America brought it here. While the Christmas custom is roughly the same in all countries from Cape Horn to the Pyrenees, there are a thousand different peculiar traditions in each region or community adapting in time, climate conditions, food options, and other differences as in Peru for example where our cuisine is very diverse and rich, we introduce agricultural varieties in the Andes, Coast, and Jungle. But in terms of a very delicious typical Peruvian dinner we suggest a combination of: “Doña Pepa turron”, “Tamales de Supe” with “Natural Chili-Cocona”, “Cuy Chactado”, “Lomo Saltado”, “Tacacho con Cecina”, and for drink, “Chicha”, “Pisco Sour” or “Uvachado cocktail”. BULGARIA = It variation is dinner with “Pita bread” prepared for that day with knives decorated at home with the sun, moon, stars designs. After they eat it with honey, stuffed grapes with rice called “Greek Dolmades”, beans, nuts and apples. Prior to Christmas day, Bulgarians observe a 40 day fast until the Christmas Eve, DEC 24. It begins on November 15th; people stay away from animal products, yoghurt, cheese, butter, eggs and milk. Then on Christmas day – DEC 25, it starts “Extravagant time” when a vegan meal is prepared for the entire family and it extends up DEC 26th. Bulgarian Christmas feast should have more than seven meals or nine, and it should be an odd number, because there are seven Gods in Bulgaria while nine is the number that symbolizes the nine months of pregnancy. HUNGARY = Its Christmas dinner offers “Roast Suckling pig or Turkey” and for dessert poppy seed cake called “Bejgli” served with nuts, anise, sesame nuts symbolizing the biblical story in the Gospels of the fish multiplication. In Hungary there is no “Santa Claus” at Christmas, actually “St. Nicholas day”, DEC 6th is a minor secular holiday when children put their polished shoes in the window. If they were good, St. Nicholas will fill their shoes with candies by morning, but will leave a bundle of dry twigs for bad children as a warning. He makes his rounds on a horse drawn sleigh, his lean frame bent under the weight of his sack. BATTLE OF KAHLENBERG or SECOND VIENNA = to celebrate their victory, bakers prepare croissants with the shape of the crescent found in Turkish flags, then they eat them representing revenge against Turks. Four weeks before Christmas celebrations, “Advent Season” starts, so all the family gather around customary Advent Wreath with 4 candles on the subsequent 4 Sundays. During this time, people sing beautiful carols, read stories, drink tea and eat mouth-watering cookies, decorate their homes with balloons, dazzling Christmas lights, Christmas flowers and beautiful Christmas trees. POLAND = Their rituals are numerous, for example serving dinner with a white table cloth, hiding a blade of oats or wheat in the Nativity memory, the number of people invited for Christmas must be even to twelve as the Twelve Apostles. Dinner begins with a “Mushroom Sopade” continues with fish dishes often carp fish with caramel sauce, almonds, raisins and fresh pasta. And ends with a poppy cake, heart-shaped butter cookies, and ginger bread called “Kutja” with wheat, nuts, and honey. Its preparations begin many days before the actual celebration. Nearly everywhere women are cleaning windows in apartments and houses just before. The insides of the houses are also cleaned thoroughly in belief that if a house is dirty on Christmas Eve, it will remain dirty all next year. ROMANIA: Dinner is served with Roast pig called “Piftie” and stuffed Cabbage with “Sálmale” sausage, and then comes the Christmas cake called “Cozonac” during “Fanfare Festival” all December. Christmas day is considered one of the most important religious holidays with a very important Christmas custom practice in all Romanian villages, the “Ignatius” a sacrifice of a pig in every house in the honor of “Saint Ignatius”. RUSSIA = Its Christmas dinner is abundant of snacks mainly based on fish of the day, stuffed goose with apples, potatoes and buckwheat groat called “Kack”. Exactly 13 days after the western Christmas, on January 7th, the Russian Orthodox Church celebrates Christmas in accordance with the old Julian calendar. It’s a day of both solemn ritual and joyous celebration. After the 1917 revolution, Christmas was banned throughout Russia. It wasn’t until 75 years later, in 1992, that the holiday was openly observed. Today, it’s once again celebrated in grand fashion, with the faithful participating in an all-night Mass in incense-filled Cathedrals amidst the company of the painted icons of Saints. SERBIA = for dinner they prepare “Sarma” a stuffed Cabbage with beef and roast pork. It ends with almonds and dried fruits cake. Christmas for Serbs who are Christian Ortodox comes 2 weeks later than Roman Catholics. They don’t celebrate it on December 25th, but on January 7th while they celebrate New Year on January 13th, because the Serbs follow the Julian calendar, while Roman Catholics follow the Gregorian calendar. SLOVENIA = In this country the cuisine is under the influence of Germany and Austria, so they served their famous Christmas soup called “Tent” and a local specialty called “Polévka” during its white Christmas. The holiday season begins with “St. Nicholas day” on December 6th. St. Nicholas is accompanied by devils that reprimand bad children. It passes out small gifts of candies and fruit to the good children. There is a corner of the house which is called “God’s Corner” where the father will place the Nativity scene. On Christmas Eve the family gathers around the Nativity to pray, each room of the house is blessed with Holy water and the barns and the out buildings are also blessed. SENEGAL = Christmas dinner is served with “Jeboudien fish” and plenty of homemade bread. However in really here Christmas doesn’t exist. The majority of the population is Muslim, they’re hugely more excited by the prospect of killing the biggest available sheep on an unspecified date in January during its national festival “Tabaski”. Various small plastic Christmas trees appeared in the market, among the rows of jelly shoes and football shirts, and tinsel was hastily suspended from railings. The Christmas lights on “Pont Faidherbe” are impressive. The sole decorations in many houses are a Christmas tree picture, postcards of friends from around the world, little pictures of snowmen and snowballs looked very out of place. NORWAY = for dinner they prefer their famous “Christmas glazed Ham”. Norway’s traditional Christmas customs include “Nisse”, a gnome or an elf guarding animals. It’s said that Nisse can have goat-like features (Christmas buck or Julebukk in Norwegian). Children get bowls of a certain type of porridge ready for him, if they don’t, he will play tricks on them. Julebukk is a very old tradition here from the Vikings. Also there is a special holiday cookie called “Sand Kager”. In the afternoons, children go from door to door to ask for treats. ARMENIA = Dinner is usually generous, it begins with at least six different salads, an sliced leg of lamb with beans, cheese, olives, spicy chorizo as a typical specialty called “Basturna”. It continues with Roast pig called “Kolokak” and stuffed grape called “Passous Dolma.” It ends with several cakes with walnuts and raisins. Preparations for Christmas begin weeks in advance. Families start by cleaning their houses from top to bottom in anticipation of the local priest who visits each home to bless it with salt and water. Seeds of lentils, chickpeas, or wheat are placed on cotton balls and allowed to sprout so that families are reminded of the rebirth of life that comes in the spring. As Christians they don’t eat any animal foods during the week that leads up to Christmas. AUSTRIA = they prefer Roast turkey or goose with apples accompanied with gratin pasta and honey, but also beer carp fish. And for dessert several cake and almond poppy pie. “Advent time” is the period of preparation for the Birth of Christ festival, a Sunday 4 weeks before Christmas Eve. This is the day when in living rooms all over the country advent wreaths woven from evergreen twigs and decorated with ribbons and 4 candles are hung or prominently placed. On each of the 4 Sundays leading up to Christmas, one more candle on the wreath is lit at dinnertime, many families pray, read Christmas stories or sing carols together. SCANDINAVIA = Their main course is Roast goose, duck or a reindeer leg all stuffed with apples and prunes, accompanied with red cabbage cooked in sugar, caramelized potatoes and cranberry jelly. It also serves Baltic fish poached or marinated with dill, gratin “Sprats” and spicy sausage. For dessert, sweet and cinnamon cookies. In Sweden, Christmas begins with the “Saint Lucia day” taking place on December 13. Christmas Eve is known as “Julafton” in Swedish. After the festive of Christmas Eve dinner, someone dresses up as “Tomte” (Christmas gnome) who is believed to live under floorboards and tulips…..WITH ALL OUR SINCERE WISHES, MERRY XMAS & HAPPY NEW YEAR 2012!! Si vous êtes lassés de déguster le même menu chaque année, Masculin.com vous propose d’innover avec un voyage culinaire autour des 5 continents. Du Pérou à l’Océanie, de la Norvège à la Nouvelle-Zélande en passant par le Liban, le Sénégal et le Mexique, découvrez les plats traditionnels servis à Noël dans ces 5 pays. Bon appétit ! Au Pérou = La cuisine ce très, très variée, a causé q ‘nous avons différents régions et hauteurs des Andes, mais si on parle d’un repas très péruvien on dirai le suivant et délicieux combinat: “Turron de doña Pepa”, “Tamales de Supe”, “Chicharrones”, “Cuy chactado”,”Tiradito de lenguado”,”Cecina con Tacacho”. Et boisson: “Chicha de Jora”, Pisco Sour” ou “Cocktail de Uuvachado”. Haiti = Comme dans bien d’autres pays du sud, les enfants d’Haïti ne connaissent pas la neige. Pour l’imiter, ils utilisent du coton qu’ils mettent dans la crèche et ils vaporisent un produit sur l’arbre de Noël. La veille de Noël, la fête se passe dans la petite famille. Les adultes assistent à la messe et ils prennent un repas traditionnel qui est habituellement le “Griot”: du porc frit accompagné de bananes frites. La soirée se poursuit avec des chants et de la danse. C’est lors de cette soirée que les enfants reçoivent des cadeaux du père Noël qui, selon eux, arrive tout droit de l’Alaska. Le 25 décembre, en après-midi, c’est le repas officiel de Noël. Toute la grande famille y participe et c’est celui qui possède la plus grande maison qui accueille les autres. Irak = Aujourd’hui, en raison du couvre-feu et de l’insécurité, Noël constitue un temps de convivialité, de joie et de renforcement des liens familiaux : un repas est préparé pour les amis et les proches, avec des plats réservés à cette fête, comme le Yakhni, de petites galettes de riz fourrées avec de la viande d’agneau hachée, cuites dans une sauce blanche. Arménie = Le repas de Noël typique est bien copieux. Il débute avec des entrées multiples : au moins six salades froides différentes mais toutes avec du lamelles de gigot d’agneau et des haricots), du fromages, des olives et des plats de “Bastourna” (viande de bœuf fumée, pimentée) ou d’ “Lerchik” (saucisson pimenté). Il se poursuit avec un cochon de lait rôti ou du “Kolokak” (boulettes de viande hachée de bœuf et de dinde) et des feuilles de vigne farcies “Passous dolma”. Il se finit avec des gâteaux de pâte feuilletée aux noix et aux raisins. En Asie = Sauf pour les Philippines où les Espagnols étaient capables de mettre en œuvre pour dès la culture hispanique, ce le seul en Asie, le continent n’est pas très chrétien, en Chine seulement 1%, ce qui signifie que des millions, mais le montant reste à nulle. Beijing, Macao, Hong Kong ou Shanghai, où les étrangers vivent plus longtemps et ont plus de tourisme, mais cette occidentalisation” de fêter. Noël apporte beaucoup d’argent et personne ne veut perdre ça, ce le cas au Japon. Le 25 est déclaré jour férié seulement dans les villes de Macao et de Hong Kong c’est pourquoi nous voyons la présence du Père Noël ou Shen Dan Lao Ren, tandis que le reste du pays cette fête est inconnue, cependant que la nouvelle année est très populaire qui peut peu á peu populariser l’influence grandissante de noël en Chine, par la présence de plus en plus nombreuse de communautés étrangères. Indie = À New Delhi, Le repas est délicieux et varié, autour d’une dinde rôtie accompagnée de sauce aux canneberges. En dessert, le traditionnel plum-pudding britannique. Appam (crêpe de riz cuite avec du lait de coco), poulet, et bananes séchées ou cuites à la vapeur, Pakoras de crevette Vous pouvez les accompagner d’une sauce au yogourt et à la menthe. Chine = En pratique cependant, les millions de chrétiens du pays fêtent noël comme dans n’importe quel pays occidental, en Chine, il est d’usage de se remémorer l’amour qu’on porte à ceux qui ont disparu. Le canard laqué (Ou canard de Pékin) est un plat incontournable de la gastronomie chinoise. Dès le règne de la dynastie Yuan (1271-1368), on servait déjà une variante du canard laqué à l’empereu. Noël devient de plus en plus populaire en Chine. Le côté commercial et festif dépasse largement l’aspect religieux qui n’a pas grande signification en Chine. Shèngdàn kuàilè! Bulgarie = Sur les petits pains ronds “Pita” que l’on prépare pour ce jour-là sont gravés avec une lame de couteau la maison, la famille, le soleil, la lune, les étoiles. On les mange avec du miel. Le repas de Noël comporte des feuilles de vigne farcies au riz (comme les “Dolmades Grecques”), des haricots blancs, des fruits secs et des pommes. Hongrie = Le repas de Noël hongrois propose un cochon de lait rôti ou bien une dinde lardée. En dessert : des gâteaux au pavot “Bejgli”, aux noix, au sésame ou à l’anis, et des noix. Le repas typique c’est plutôt le poisson (symbole biblique) sous forme de soupe de poisson ou de rôti. La dinde comme toute volaille est bannie- elle peut “gratter la chance”. Un moment chaleureux du repas est de couper une belle pomme bien rouge en autant de morceaux que de convives pour “s’assurer” qu’on soit du même nombre l’année prochaine (=pas de morts).Sur le sapin on accroche les Gâteaux décorés de pain d’épice (faits maison) et le fameux “Szaloncukor” – une sorte de papillote de tous les parfums qu’on ne trouve nulle part ailleurs au monde. Slovaquie = La cuisine subit des influences allemandes et autrichiennes. Signalons néanmoins pour Noël la fameuse soupe de carpe “Polévka”, une spécialité locale. Québec = Nous mangeons la dinde aux pommes y est bien sûr accompagnée de sirop d’érable, de purée de pommes de terre, de la gelée d’atocas, la tarte au sucre, le Buche de Noel, le poulet farsi au migneron et sauce à l’ érable et aux noix, vous fait vivre un repas délicieux, chaleureux, à travers des ces plats exquis, des récits, des histoires, des rêveries sur des espaces du Grand Nord, voire familial (les Québécois n’oubliant jamais leurs cousins français). Bon appétit quand même! Danemark = On va en famille couper le sapin de Noël dans la forêt. Le diner de Noël commence vers 18 H. A la fin du repas, on sert du riz au lait où se cache une amande entière. Celui qui la trouve reçoit en cadeau un petit cochon porte bonheur en pâte d’amande. Après le diner le papa va seul dans la pièce où se dresse le sapin de Noël décoré de guirlandes faites de petits drapeaux danois, de bougies et de petits cœurs rouges et blancs. Autriche = Le 24 décembre à midi, on mange léger : traditionnellement une carpe ou même une soupe. Le soir, le repas est souvent encore léger, froid ou à base de poisson. En revanche, les gourmandises sont riches, au beurre et se déclinent en une variété extraordinaire de petits biscuits! Toutes les maisons se sont efforcées de reproduire de multiples biscuits selon des recettes de famille ou des innovations guidées par l’inspiration du moment. Les formes et les recettes doivent être variées. Le déjeuner de Noël, le 25, est le plus riche: On se réunit autour d’un gros plat comme une dinde ou un chapon. Suisse = Les fourneaux chauffent sans relâche pendant cette période dans tout le pays Tout d’abord, dès mi-novembre, on commence à fabriquer de petits biscuits de toutes sortes et toutes formes qu’on appelle “Plätzchen”. Avant les cadeaux du Père Noël, les enfants reçoivent des petits paquets contenant une orange, une barre de chocolat et un pain au sucre. France = En France, le repas de Noël, c’est bien souvent dinde aux marrons, chapon et huîtres. Plusieurs jours avant Noël, les villes et les villages de France prennent un air de fête. On décore la façade des mairies. On dresse un immense sapin sur les grandes places. Les rues principales et les arbres sont recouverts de guirlandes lumineuses. Les grands magasins font de très belles vitrines ou certains mettent en scène des automates. Le 24 au soir les familles font un diner de réveillon composé de mets savoureux tels que des huitres et du foie gras….Et quel que soit le pays où vous serez le 25, quel que soit le menu que vous partagerez ce jour-là, joyeux Noël ! Categories: Uncategorized | Tags: 25 de diciembre, ano nuevo, arbol de navidad, bonne annee, christmas, dia de navidad, dios del sol, gifts, joyeux noel, navidad, new year, origen del arbol de navidad, papa noel, prospero, ritos paganos, santa claus, tree | Permalink. ABUSIVA EXPLOTACIÓN EN SELVA PERUANA POR PETRÓLEO! +¿Es la selva amazónica el pulmón del planeta?